and college and career aspirations. credits toward both a high school and college degree. help students get back on track and graduate from high school on time. list of events, visit http://wa.insightschools.net. programs. 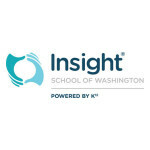 For more information about ISWA, visit http://wa.insightschools.net.